This year I decided to make my own Christmas cards! 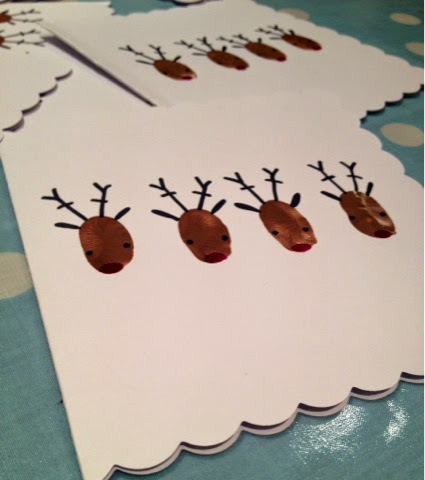 This is such a cute reindeer design which so simple and effective. All you have to do is make fingerprints with your finger in brown paint, allow to dry, and then add the details using a sharpie or bold pen.